With all the talk about Wichita Tree’s tree removal, pruning, thinning and reduction services, it’s easy to forget that we also assist customers with tree planting needs, too! We love trees, and we love getting the opportunity to work with you to sustain new life on your property for decades to come! When you own property, a sense of pride often goes along with that ownership. We find our customers committed to the care of their land. 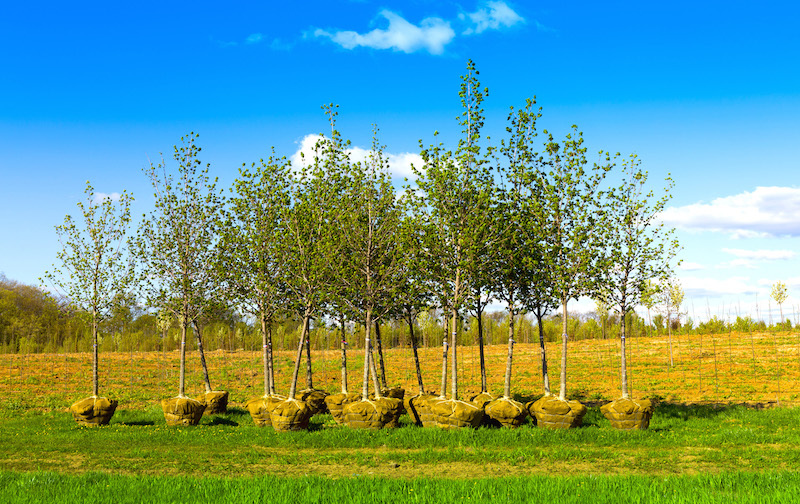 Planting trees where others have been removed or planting them in a formerly tree-free location can have many benefits for you personally, including improving the environment and increasing the value of your property. Trees create privacy around your home, especially for areas such as a pool or hot tub. When trees are planned and planted correctly, you would not need an obtrusive privacy fence for some areas. Trees regulate the temperature of the air around them by discharging water vapor. This is especially important if your family spends a lot of time outdoors. Trees can add as much as 15% to your property value when you plan their planting out carefully, making sure that in years to come they will not grow too close together. Trees are a habitat and source of food for many types of wildlife. Tree roots hold strong in the ground, preventing soil erosion. Tree foliage gives off oxygen to the surrounding air. Tree bark and leaves clean the air by trapping particles from the air which filter through them. Trees provide valuable shade in the summer and insulation in the winter, which cuts heating and cooling costs. ​No matter what reason convinces you that planting trees on your property is a good idea, our tree care experts can walk you through the entire process, including choosing the right kinds of trees for your desired goals. Call Wichita Tree today by dialing 316-226-8733 for more information and a free consultation!